Christina Morales is the mother of young Briana Roebuck-Morales. 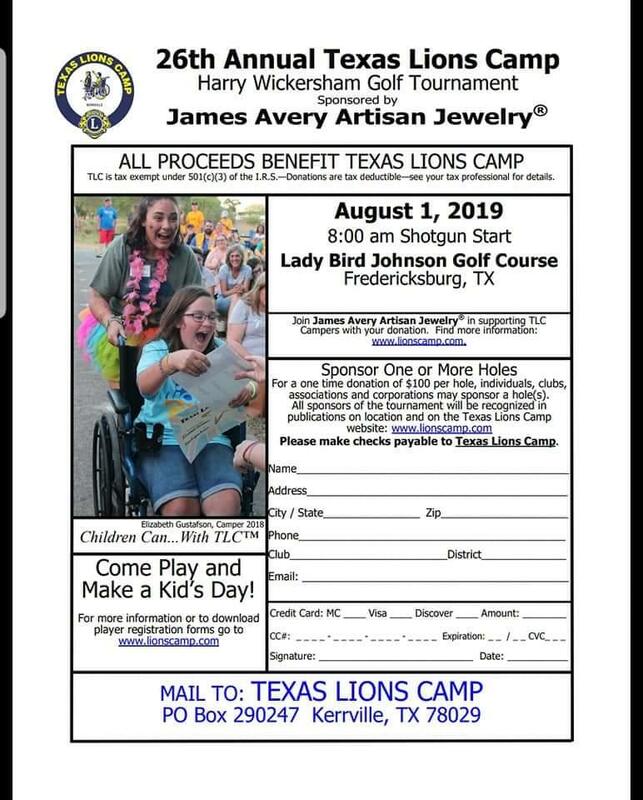 Briana attended the Texas Lions Camp in Kerrville, Texas together with other children who have Type 1 Diabetes. 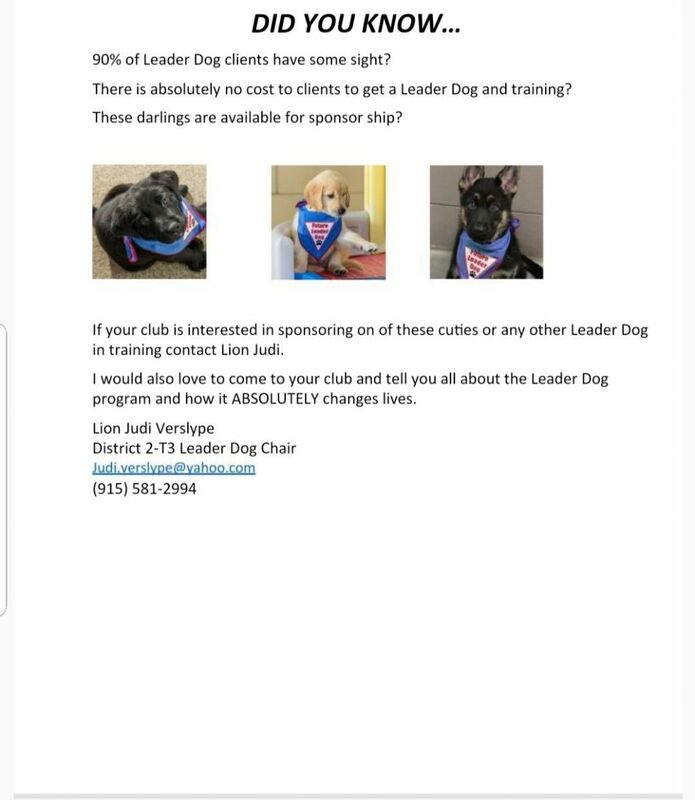 Our Club sponsored her registration and transportation. 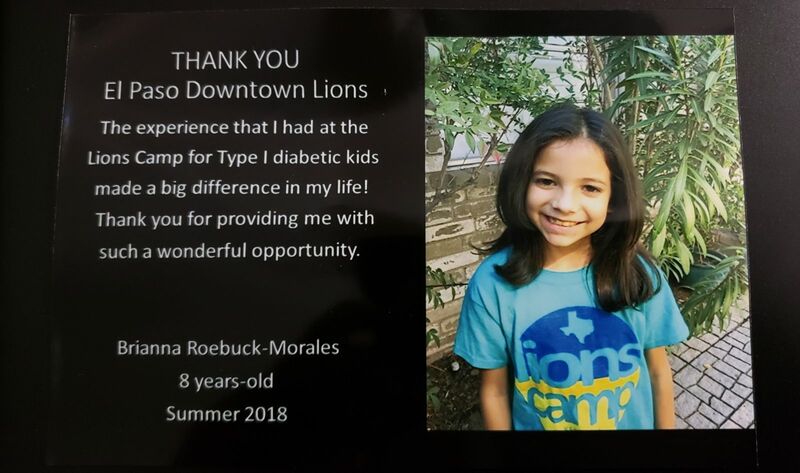 Briana spent a week together with other kids with Diabetes. There were many activities including horseback riding, swimming, arts and crafts. 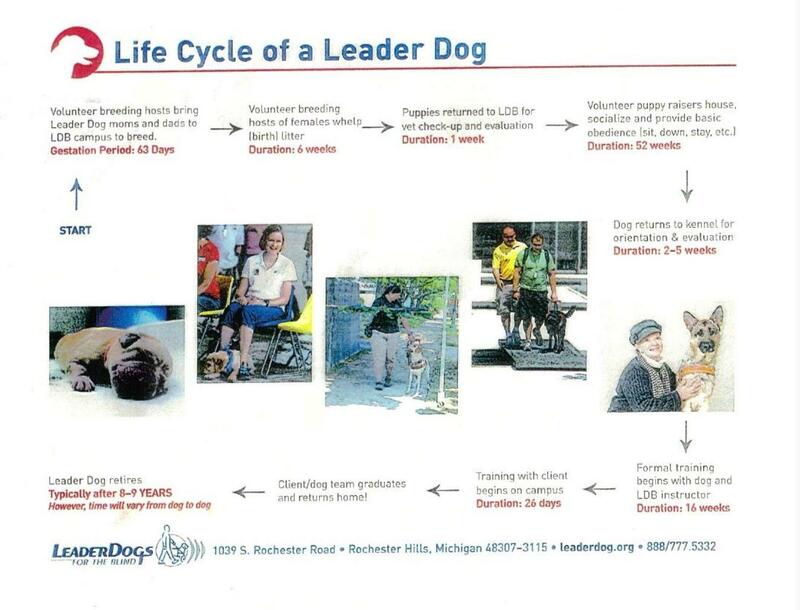 Lions Camp have well trained counselors, nurses, and Doctors. We are moved by her gratitude. It’s great to be an El Paso Downtown Lion! Beautiful “Thank you Card” was received by Briana’s Mom. 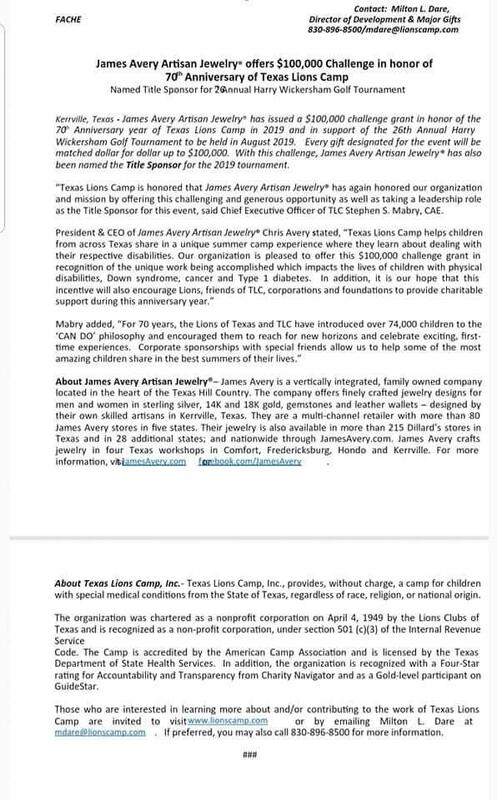 She gave one to all the Downtown Lions at the meeting on Friday, August 31st for helping send her daughter to Texas Lions Camp. The University of Texas at El Paso Lions Club mans a booth at the Minerpalooza Event as a fundraiser. It is The University of Texas at El Paso’s largest pep rally and back to school celebration and voted, ‘Best Annual Event’ by El Paso Magazine in 2009. 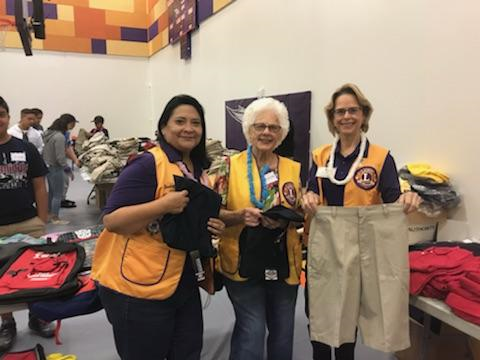 Several Clubs from the El Paso area participated in the Uniform Scholl Uniform Swap that grows by leaps and bounds every year. More than 800 students received new and used school uniforms and supplies. 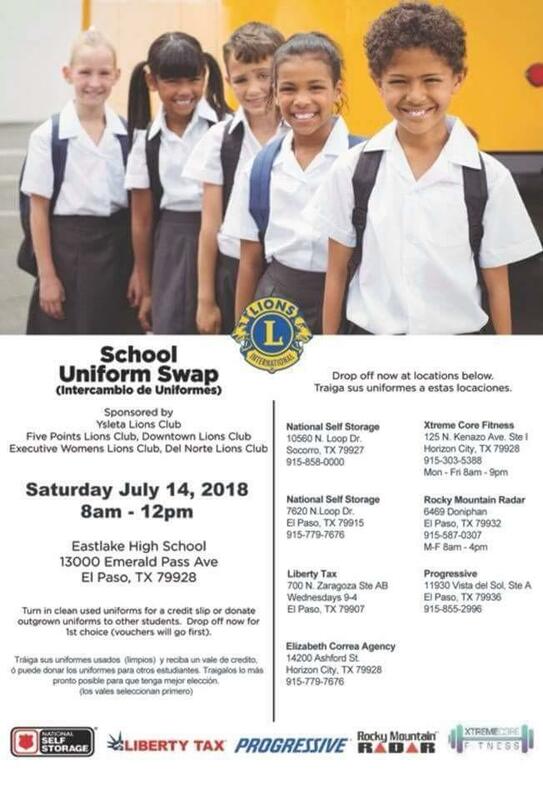 The school uniforms and supplies are handled by Horizon City, El Paso Downtown, East El Paso and El Paso University Lions. 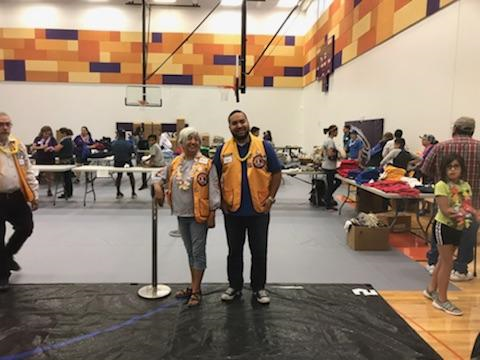 In addition to the school uniforms and supplies El Paso Del Norte and El Paso Five Points Lions provided hearing and vision screening. 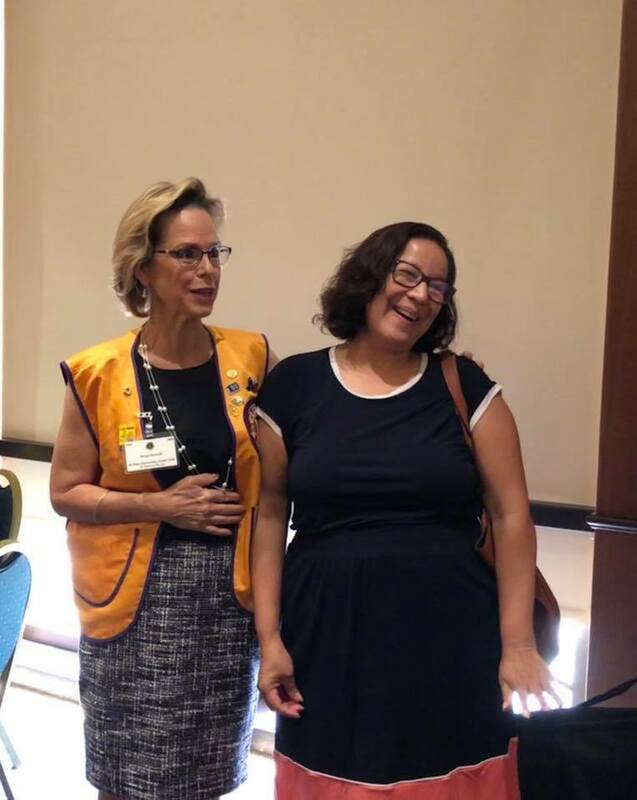 Camp Director (West) Lion Betty Spencer of El Paso Sun City provided information about the Texas Lions Camp. Many other area agencies were on hand providing various screenings, servies and information.